Ryan McMillanwas last seen in Lithgow, NSW on 19 November 1997. Since this date there have been a number of alleged sightings of Ryan including the Cabramatta and Molong areas. Lithgow teenager Ryan McMillan had a lot to look forward to, a school social the following week and summer holidays. At 6.50am, on 19 November 1997, Ryan's mum Brenda checked her son was in bed and left for work at the local hospital. Later that morning she discovered that Ryan had left home without any warning or note. Bathurst Detective Sergeant Laura Thurtell is leading the ongoing investigation into Ryan's disappearance and believes the teenager had no reason to leave home. “Ryan was a Year 10 student at Lithgow High School and was looking forward to his school social the following week," Detective Sergeant Thurtell said. "He had many friends, who along with his family miss him terribly. Ryan enjoyed chatting on the Internet and bushwalking. His family have told us that any problems Ryan thought he might have had at the time are able to be resolved. “We are now exploring a number of new lines of enquiry that were not explored in the original investigation." Ryan was last seen wearing a maroon t-shirt with a white emblem on the right chest. At 16 he was described by his mother as 6' or 183cm tall, fair skin, sandy blond hair, blue eyes and slim build. Anyone with information on Ryan's whereabouts at any time during the last six years is asked to contact CrimeStoppers on 1800 333 000. All information will be treated in the strictest of confidence and callers to CrimeStoppers can remain anonymous if they wish. 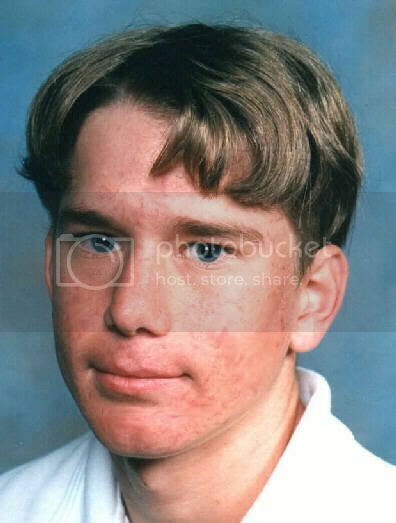 Ryan McMillan disappeared from his home in Lithgow NSW Australia on November 19th 1997 and has not been heard from since. All efforts to find him have so far been without success. His family and friends are desperate to find out if he is still OK. We are not going to force him to come home, we just need to know he is alive and to let him know he is sorely missed. All of us here are missing you terribly: - Mum & Ron, Wade & Natalie, Paul & Joey, Uncle Kevin, Uncle Trevor, your Dad, Murray & Michael and all your friends & family. No matter what you think you might have done it will be OK!! We have been and always will be here for you - NO MATTER WHAT!! Just let us know that you are alright. Remember you can still be what you want to be. We all love you and will help you get there.